The 90th Annual Academy Award nominees are to be announced on Tuesday morning at 8:22am EST/5:22 am PST. Before the big day comes, I thought it would be fun for me to share my predictions for what will end up being nominated, the films and performances that could potentially surprise, and what should be considered but probably won’t stand much a chance. I’ll be providing my in-depth thoughts for the following categories: Best Picture, Best Director, Best Actor, Best Actress, Best Supporting Actor, Best Supporting Actress, Best Original Screenplay, Best Adapted Screenplay, and Best Animated Feature. However, I’ll be listing my predictions for all 24 categories. So with that all out of the way, let’s begin! The 75th Annual Golden Globe Awards will be broadcasting live tonight at 8pm EST/5pm PST on NBC. Many of the major Oscar hopefuls are nominated for Best Picture including “Get Out,” “Lady Bird,” “The Shape of Water,” and “Call Me By Your Name.” Which ones are expected to take home those gold statues? Here I make my predictions for what will win in all of the film categories (I don’t watch enough TV to properly make any predictions on that front) as well as offer my personal picks for what should win and maybe what films got overlooked. Without wasting anymore time, let’s get into this. 2017 has come to a close and there’s been a ton of outstanding films throughout the year. 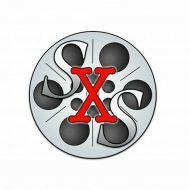 The films have been so outstanding that it was tough to compile a best of the year list that didn’t include films like “A Fantastic Woman,” “The Incredible Jessica James,” “Logan Lucky,” “Split,” “Win It All,” “Wind River,” and “Wonder Woman.” That being said, this list of 24 films that did make the cut are all exciting, fresh, and truly special. So without further ado, here it is – my picks for the top 24 best films of 2017. WARNING! There will be MAJOR SPOILERS for “The Last Jedi” in this review. Please, do not continue to read beyond this point if you have yet to see the film. You can click HERE for my spoiler-free thoughts on “The Last Jedi.” For everyone else, this review will be where I discuss the film in detail, going in depth about the things I liked and disliked about the newest episode in the “Star Wars” saga. I’ll be going through each individual character and their contributions to the story as well as the major set pieces. I’ll also be talking about points that many fans have taken issue with as well as points I just want to bring up on my own. With that warning out of the way, there’s plenty here to discuss and after now having seen “The Last Jedi” three times and loving it more and more with each subsequent viewing, I’m excited to talk specifics about why this film works so well. Picking up immediately following the events of “Star Wars: The Force Awakens,” Rey develops her newly discovered abilities with the guidance of Luke Skywalker, who is unsettled by the strength of her powers. Meanwhile, the Resistance prepares to do battle with the First Order. In a brand new Jumanji adventure, four high school kids discover an old video game console and are drawn into the game’s jungle setting, literally becoming the adult avatars they chose. What they discover is that you don’t just play Jumanji – you must survive it. To beat the game and return to the real world, they’ll have to go on the most dangerous adventure of their lives, discover what Alan Parrish left 20 years ago, and change the way they think about themselves – or they’ll be stuck in the game forever, to be played by others without break. A cover-up that spanned four U.S. Presidents pushed the country’s first female newspaper publisher, Kate Graham of The Washington Post, and its hard-driving editor, Ben Bradlee, to join an unprecedented battle between journalist and government in publishing the Pentagon Papers. Set in the glamour of 1950’s post-war London, renowned dressmaker Reynolds Woodcock and his sister Cyril are at the center of British fashion, dressing royalty, movie stars, heiresses, socialites, debutants and dames with the distinct style of The House of Woodcock. Women come and go through Woodcock’s life, providing the confirmed bachelor with inspiration and companionship, until he comes across a young, strong-willed woman, Alma, who soon becomes a fixture in his life as his muse and lover. Once controlled and planned, he finds his carefully tailored life disrupted by love. Another month down, another ranked list. I saw 16 films released in November and, for the most part, it was a great month for movies. The only major release I missed that I wanted to catch was “Wonder,” especially after hearing such solid buzz. Still, November was filled with strong awards contenders so let’s get started with the list! An other-worldly fairy tale, set against the backdrop of Cold War era America circa 1962. In the hidden high-security government laboratory where she works, lonely Elisa is trapped in a life of isolation. Elisa’s life is changed forever when she and co-worker Zelda discover a secret classified experiment.